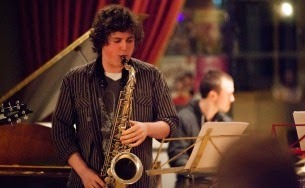 Edwardian country house Lotherton Hall is to play host to a jazz concert featuring two LCoM jazz graduates, Will Howard and Sam Watts on Saturday 19th July, performing music from the Great American Songbook. Pianist Sam Watts graduated from LCoM in 2010 and has since gone on to study a masters at the Royal Academy of Music in London. Sam recently hosted a solo piano concert and discussion on music and composition at HEART, to a sold-out audience. Saxophonist Will Howard graduated this year, and has already established a strong reputation as a creative improviser and band-leader. His two-drummer project has performed at Sela Bar in Leeds and across other Northern venues and he is soon to undertake a tour with bassist Tom Riviere's new quartet. Tickets can be booked through the LCoM website and the ticket price also includes car-parking and refreshments.